We are the leading exporter and supplier of a fresh range of Jasmine Flowers that are widely popular among clients owing to the charm and fragrance. 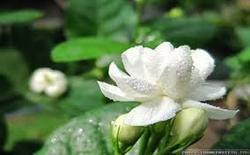 Our shipment mode helps us in delivering Jasmine Flowers within the stipulated time period. We are dealing in Mullai Poo. 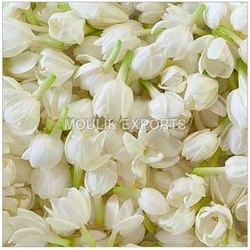 We offer high quality range of Jasmine Flowers. Our offered range are known for fragrance and charm which signify purity and chastity. We provide these flowers to our clients as fresh as the morning dew. Our range are available in various colors and it is used for various purpose also. Welcome to Our Online CatalagWe are the Direct Manufacturer and Supplier Of Fresh Flowers like Jasmine From the Hygenic and Fresh Places in Dindigul, Madurai, Salem in the country of India.The Harvesting and Cleaning Process are very Carefull and Eco-Friendly method.We are always ready to Deliver the customer needed packing technology upto date. Supply for all flowers. . .
Fresh jasmine flowers with string we can supply good quality&packing. Its smile is around 10 meters when you open our packing. 3000 string. Its smile is around 10 meters when you open our packing. One string are 45cm.